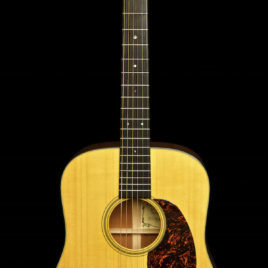 Solid Sitka Spruce with 25.4" Scale, solid square taper headstock and enclosed chrome tuners with large buttons. 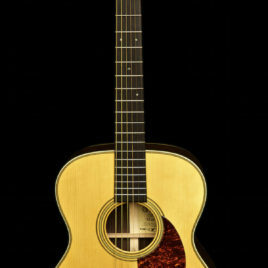 A Solid East Indian Rosewood Belly Bridge with a 16" Radius/Compensated/Bone Saddle. 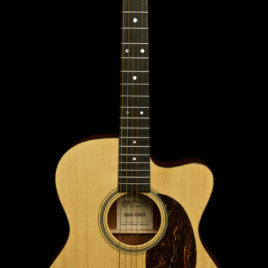 Also a 1 3/4" Bone Nut with a Performance Artist Profile Neck. 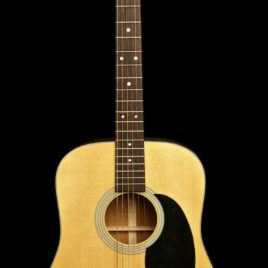 The body features black boltaron binding and a black pickguard. 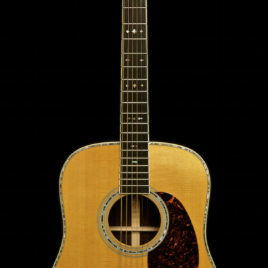 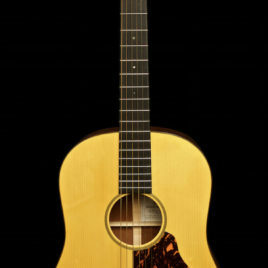 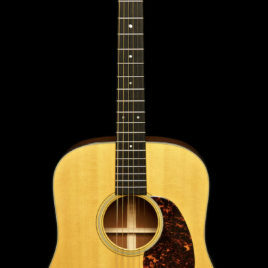 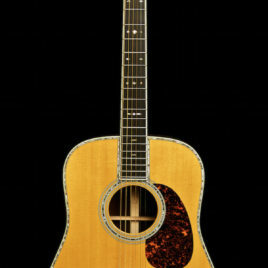 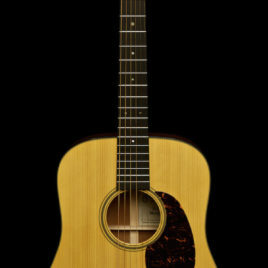 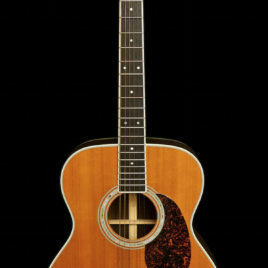 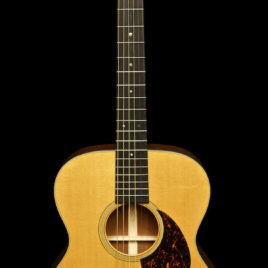 Made in 2011 and includes the full Martin Guitar Factory Warranty.